Members of the Priority Health Cycling Team got a surprise co-rider tagging along in Chester County earlier this month. 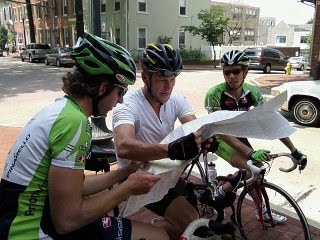 That's Lance Armstrong looking over the map at Gay and Darlington Streets in West Chester. Armstrong was allegedly lost looking for a friend's house when he came across the team.